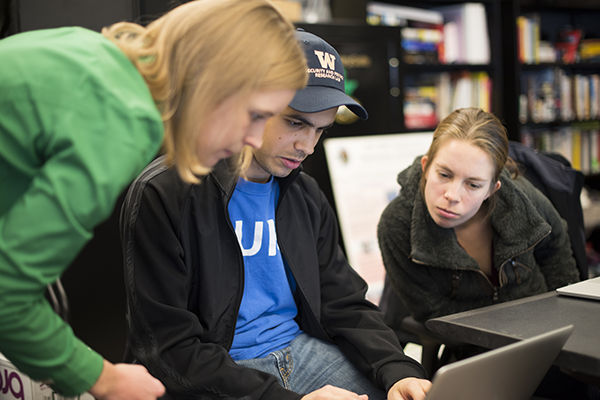 The Allen School is committed to expanding our global leadership and impact in computer science and computer engineering research. We offer a supportive environment in which our faculty and students are empowered to pursue the next great advances — whether at the core of the field, or in emerging areas that address humankind’s greatest challenges through the transformative power of computing. Our faculty members have been nationally and internationally recognized for excellence, and our students are successful in the preeminent research competitions sponsored by industry and government. In the past five years alone, more than 40 students have received Graduate Research Fellowships or Honorable Mentions from the National Science Foundation, and over a dozen have earned accolades as part of the Computing Research Association's Outstanding Undergraduate Researcher Awards competition. Allen School faculty and students are among the most prolific contributors of award papers to major conferences in our field and published papers in journals such as Science and Nature. Our graduate program alumni go on to be leaders in industry and academia, and our undergraduates — most of whom participate in faculty-supervised research — power industry-leading companies and populate the nation’s most prestigious graduate programs.